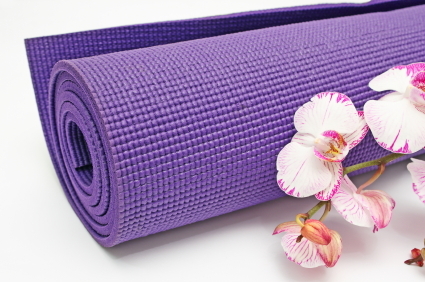 When your once well revered yoga mat used for 17+ years in a dedicated & masterful EFFORT to relax & quiet the mind suddenly reincarnates into a cushiony object for your knees while planting a flower garden, its probable that YOU ARE AWAKE ! You catch a friend blatantly lying to you and you smile in full acceptance that it is all just happening. Your partner comes home from work to find two hideous, one hundred pound columns installed by the gas company in the newly paved driveway, in full reaction mode he removes the beams, and you simply watch quietly in full acceptance that it is all just happening. Money in your checking account is dwindling; your savings account is gone; you have been technically unemployed since November 2011 except for the occasional odd job, yet there is NO FEAR present inside you, NO FEAR as to how you will continue paying your bills because you are in full acceptance that it is all just happening. You travel 1300 miles back to your parents home, to stay for a week and completely enjoy yourself with out distress or negative reaction of any kind because you are in full acceptance that it is all just happening. So far these are the most immediate observations and Kate is still nowhere to be found. All the reacting has ceased. All the fears and anxieties have dissolved. All the judgment, blame, resentment, and opinions have simply disappeared. No more resistance, no more needing or desiring to control actions or outcomes. And most notably, as living a liberated life happens, the view is crisper, cleaner, warmer, and filled with endless space. THIS IS WHAT IT MEANS TO LIVE A LIBERATED LIFE. Thank you I am for ghnow, awarenessishere, harish rajpal, padre ralph, brenda blasingame, knowthesphere, heoalchemist, ram0ram, just bliss, nomad grad, frank, tanveer raug, cheryl, daria and anyone else I failed to mention. Thank you for following Simply Begin, your comments, compassion, and support are truly appreciated! Sharing these stories/events with all of you continues to be another amazing happening! It was always an intention to connect with people globally, never did it occur that one can Simply Begin by starting a blog!!! And Kate also thanks you for sharing your adventures with her! Categories: Fearless, Freedom, Happiness, Joy, Truth | Tags: all is one, all one, am-ness, awakening, awareness, be here now, being, being in the now, collective consciousness, completely present, conscious alignment, effortless, Egoless, enlightenment, fearless, fearlessness, freedom, happiness, I AM, is-ness, liberation, liberation of mind, love, no ego, no fear, no thought, No-mind, no-self, no-thing, peace, present moment, rebirth, Relinquishing the mind, Relinquishing thoughts, serenity, the art of being, the art of now, tranquility, true being, true happiness, universal consciousness, yoga mat | Permalink. yo yo sista of another mista! your continuing support is sweet! Thanks for such inspiring and thought provoking post. I love the phrase that you have attached to living a liberated life: “It is all just happening.” I am going to practice this when I lose my grounding, I will repeat this phrase along with telling myself I am safe.